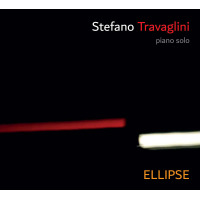 Italian pianist Stefano Travaglini's Ellipse is a masterwork of improvised music. The recordings is the result of a single one-hour long unedited session at Oslo's Rainbow Studio. Travaglini's playing is beautiful and measured featuring a brilliant use of negative space. 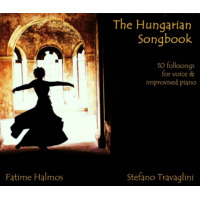 Travaglini is not interested in wowing the listener with flashy rapid-fire piano lines. Instead, he opts for a subtle charm. His playing is soft and delicate. His delicate style should not be mistaken for being frivolous. Ellipse would not be welcome in a hotel elevator, or a new-age yoga studio, it is too adventurous to be regulated to the background. Travaglini keeps a steady rhythm in his left hand at many points throughout the album keeping it grounded preventing it from becoming a formless work. Although the album is entirely improvised, it sounds thoroughly structured. "Persistence" is the best example of this attitude. The song starts off quietly with a single note, repeating over and over again. Travaglini slowly adds melody and harmony to the ostinato, before moving the ostinato to a different lower pitched tone. He repeats the process with this new tone. However, this second improvisation is more chord based than his previous one. At 3:35 Travaglini briefly abandons the repetitive rhythm in exchange for a couple chord changes, but then quickly returns to the phrase. The rest of the piece features Travaglini freely moving between chordal sections and sections based on the previous ostinato. These changes create a beautiful sense of motion throughout the piece that keeps the listener focused. The two covers on the album fit Travaglini's style well. "Softly, as in Morning Sunrise," originally written by Sigmund Romberg and Oscar Hammerstein, for the 1928 operetta The New Moon, features a great walking bass line to accompany the pianist's melodic lines. Travaglini takes on a more aggressive attitude for his version of "Monk's Mood," which he melds with his original piece "Presences." This change of tone works well for Travaglini, and the two pieces' blend well together. "Life" is a striking ballad, Travaglini throws in several dissonant chords but they resolve nicely. He also showcases his technical abilities with some fast-paced piano runs. Overall Travaglini's ear for melody, especially in an improvised setting, is astounding. This melodic ear and Travaglini's sense of pace makes Ellipse" one of the best improvised works of 2017. A beautiful and adventurous recording. Track Listing: The Importance of Fishing; Life; The Flowering Season; Persistence; Monk's Mood / Presences; Looking Back; Intermezzo; Softly, as in Morning Sunrise; Good Bye, for Now (Meditation).